Customer service software for small businesses - tap the power of Olark live chat and Desk.com helpdesk ticket tracking. 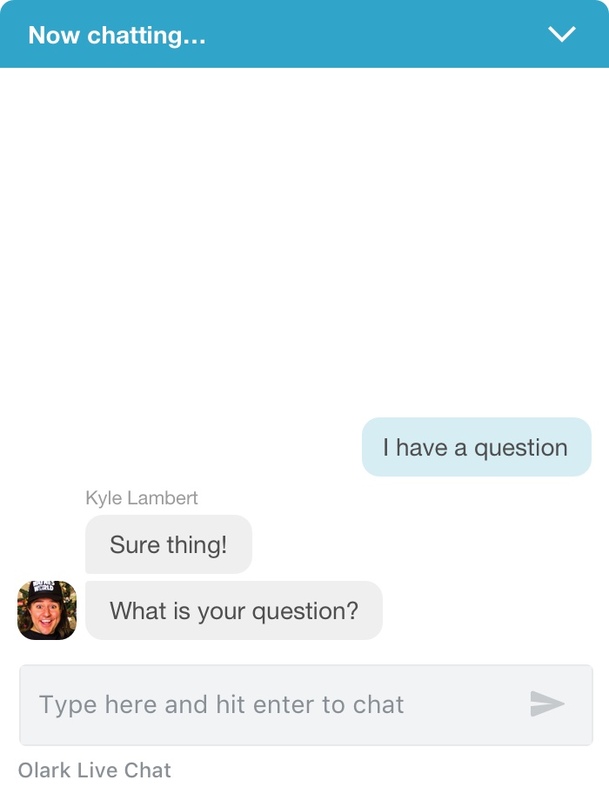 With the Olark live chat and Desk.com integration, your customer support team can easily turn any chat conversation into an actionable ticket. 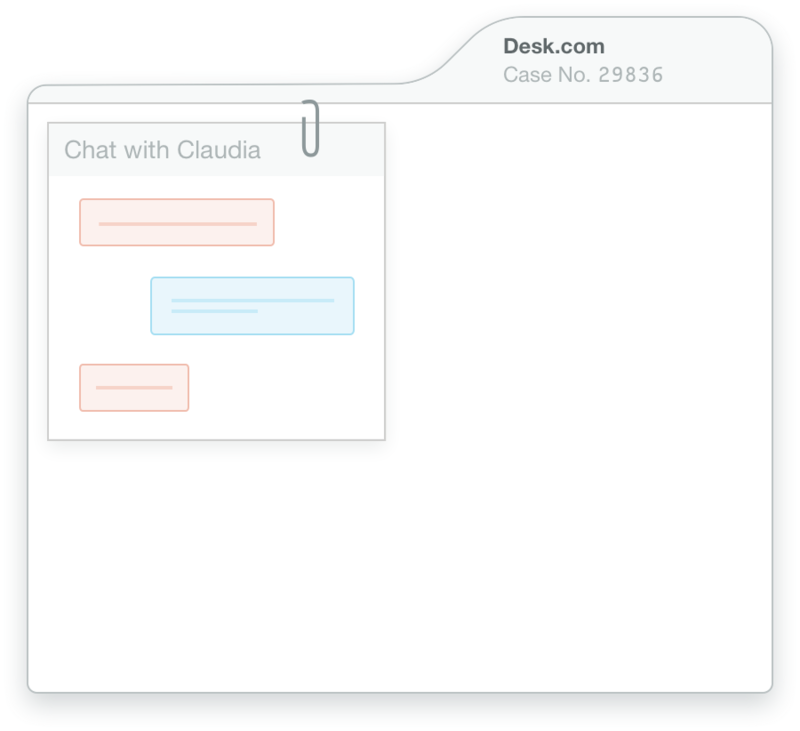 Within Desk.com, these tickets are centralized alongside other customer interactions, like email, or attached to existing customer records. This makes it easy for your support team to assign ownership of each ticket and follow-up as needed. During any Olark chat as an agent, type !desk and hit enter. We’ll create a case in Desk with your chat attached. Voila! Here's a how-to guide for connecting Olark and Desk. Want to understand how this integration works for your business? We're here to help. Chat with our award winning customer support team. 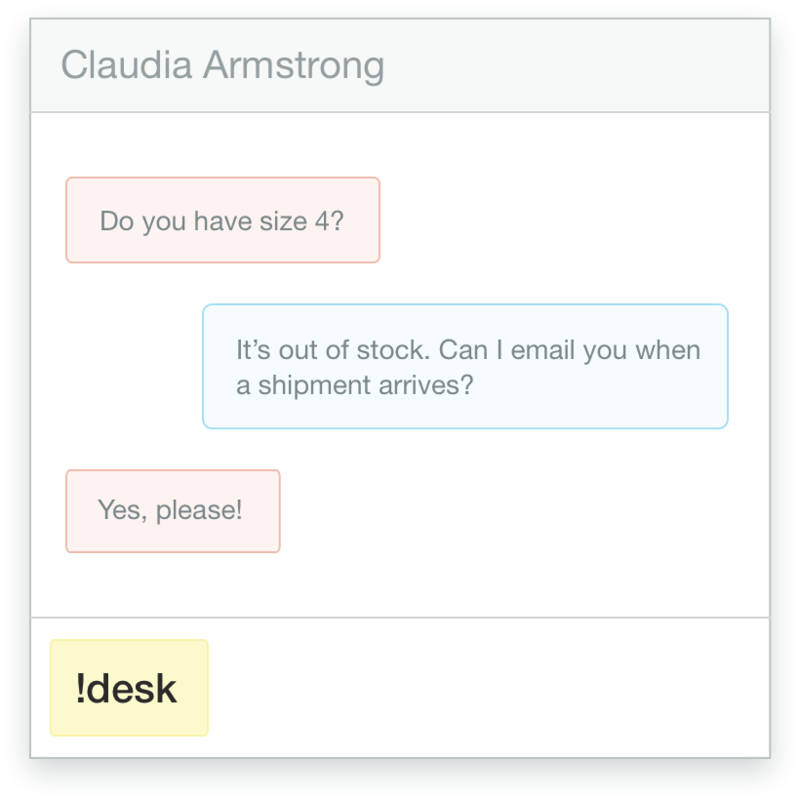 If your small business needs a simple, powerful website chat widget, then Olark is right for you. It only takes minutes to add our intuitive live chat software to your website. Once installed, Olark makes it easy to talk more customers on your website in a human way, which has been shown to increase sales, increase average purchase size, and improve customer satisfaction. Ready to turn on the Olark and Desk integration?